Wildcat Guys.....what size tire do you run? Discussion in 'A boatload of fun' started by enduro22, Jul 4, 2017. Just about finished off spinning off the current set.....just wondering what size tires folks are running to see if I can more tire or not. Thanks! It's a snug fit, but it's worked without problems. On a 65 Electra, I'm running 235 in front and 265 on a 10" rim in the back.. There's not much space left though.. Pretty much the modern equivalent of stock; - 225/70 R15. I'm going to be looking at radial red-walls from Coker next. Always wanted a set, and they'd look cool against the blue and chrome. 225/75/15 recommended radial tire size in '68 owner's manual. With this size, you can get the back tires off without having to let some air out! Bigger sizes tend to get hung up in the rear wheel well. 235/70/15 fits well also. 64 convertible, I am running 235/60R15 in the front and 255/60R15 in the rear. All on stock 6.5" wheels. No rubbing and looks muscular. I had to use a 45 tooth Speedo gear. It lowered the overall gearing by 10% over stock which helped performance a bit. I didn't know you could go bigger than 235 with a 6" rim. Any issues? 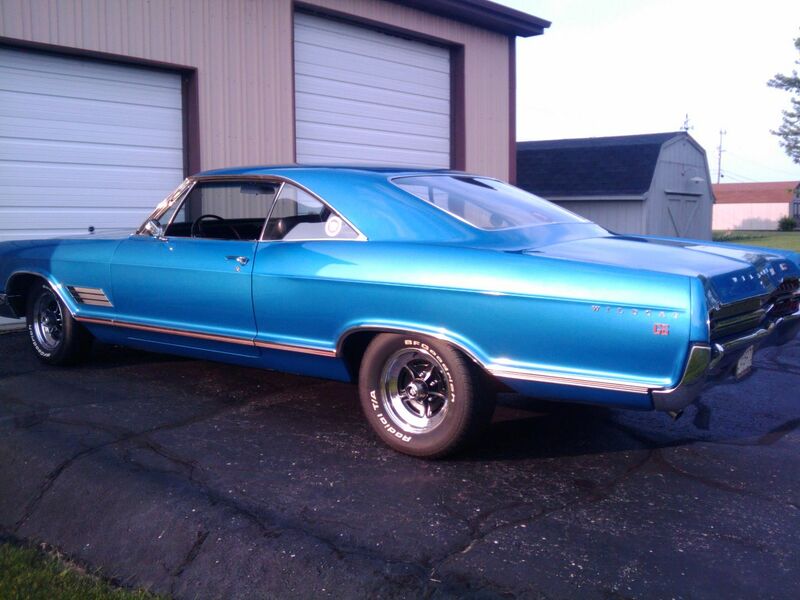 I have a 69 Riv and am looking at new tires and thinking 235/70 was the biggest I could go with stock rims. 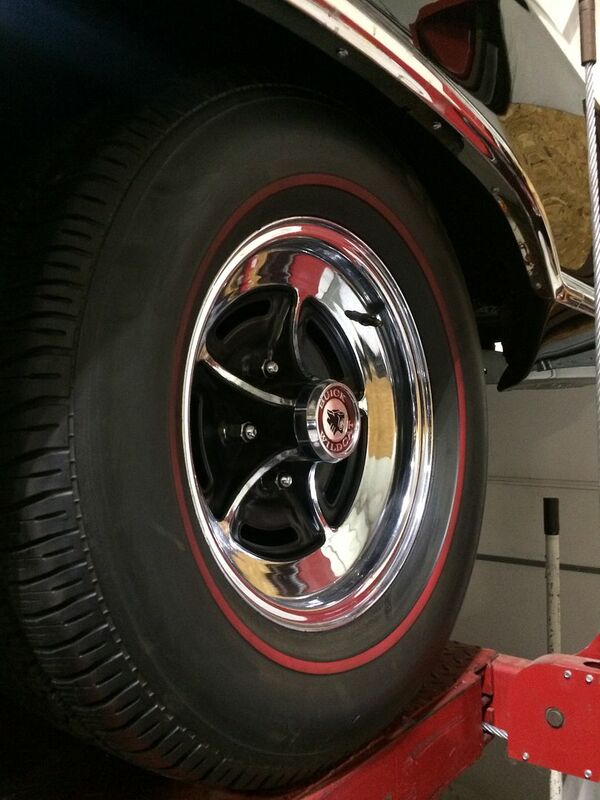 Dumb question - are the Wildcat wheels different than the Riviera wheels? Aren't they 15 X 6? Is the actual measurement 6.5? "I'd tell ya but then I would haff tuh kill ya! Hisssssssssssss!" Will tell ya it is a G series as in "Gee'z!!!!!! Those suckers are SHARP!!!" 275/60/15 on back; had to find the 15 x 7 wheels that were available on mid 70 wagons and use a spacer. Fronts are 235/70/15. Man you guys are making me miss my 64 4 speed car. Beautiful Wildcats gentlemen!